Impressive south facing corner townhome. Excellent open floor plan with great use of space. 3 bedrooms up. 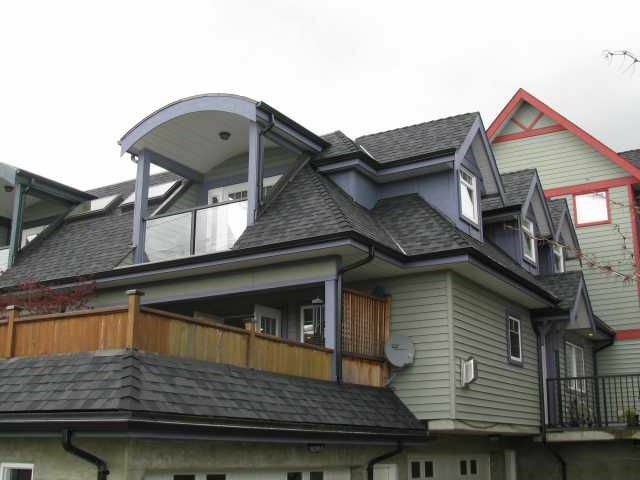 Nice Master with 80 sqft balcony, spacious ensuite and large walk-in closet. Kitchen has granite counters, maple cabinets andstainless steel appliances. Hardwood floors on main, New Carpet upstairs and on the stairs and New Paint. Massive 480 sqft south facing sundeck plus 275 sqft side patio. Bonus 250 sqft of storage space downstairs and big 2 car attached garage. Gorgeous 9 unit development in a great location.